Dessert for Breakfast. Union Square Donuts in Somerville, MA. 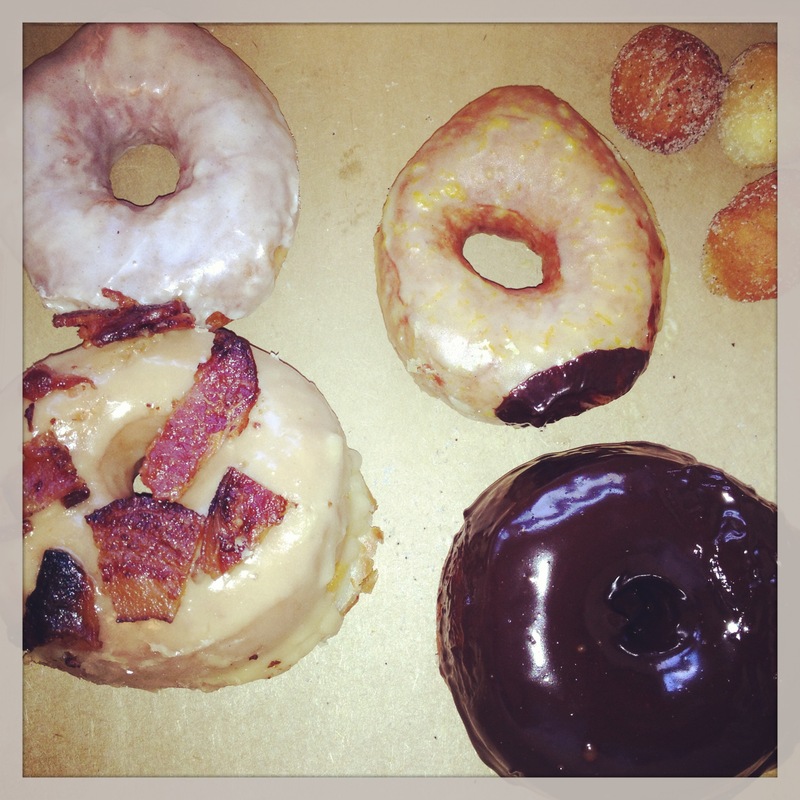 Last Saturday, Kraig ventured out to grab us a sampling of donuts from the hipster donut shop Union Square Donuts. The top left is a vanilla bean donut, the bottom left is maple bacon, the top right is creamsicle, and the bottom right is chocolate chipotle. I sampled all of the donut flavors except the creamsicle flavor because someone finished that one off. Ehem Kraig. These donuts were so fresh and tasted less cake-like than a dunkin donut. Kraig went to the donut shop at 9 AM and said there were other amazing flavors cooling on racks like salted caramel bourbon and a jam one that wouldn’t be ready until 10 AM. We’ll have to try those flavors next time!